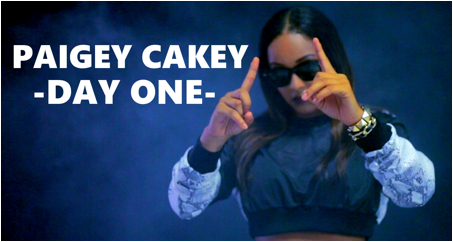 UK's rap princess Paigey Cakey drops ‘Day One’, the introductory track to her freshest project ‘The Right Paige’. Currently signed to Alwayz Recordings, Cakey features Karmah Cruz on the vocals and production of the track that showcases her hard bars and upfront account of the work she's been putting in from ‘Day One’. Paigey Cakey doesn't fail to deliver on the video as well - showing off her beauty mirrored by her feisty and determined character. Her new project ‘The Right Paige’ will see it's release in 2015 via Alwayz Recordings and features the likes of Chip, Wretch 32, Young Spray, Yellows, Shalo and Rachel Fox. Speaking on the new project, Paigey says "The title says it all. I've finally found my sound. Everything else was an experiment along the way and helped me get to this point. I'm excited for the music to be heard." Alongside the release of ‘The Right Paige’, in September, Paigey will also be back on screen for a 6-part drama ‘The Secret’ broadcast by the BBC and if you thought that wasn't enough to be working on, she’s just landed a lead role in a forthcoming film. She is just unstoppable at this point!